If the movement at the head of the command structures of the army is of unprecedented magnitude, nothing new however under the sun in terms of profiles: the replacements are often the former deputies of the replaced. At the ball of the generals, the waltzers belong to the same age class. Sixty-year-old generals replace the septuagenarians under the undecipherable auspices of a “supreme chief of the armies” and an octogenarian chief of staff, medically irrelevant, but whose prolixity boils down to sermons agreed in front of televised parterres. unmoved. These changes, for gerontocratic as they seem, are in principle heavy political sense: the heads of military regions, secret services and commanders of the body are part of the law of the Conclave generals kings. No one is unaware of the crucial role of this informal but decisive assembly of military leaders who decide or endorse the appointment of a head of state. Knowledgeable observers note that these movements were operated rather cavalierly, as if they concerned only senior officials who could be moved without notice. These dumpers of appointments and retired show indeed that this Praetorian Olympus, a clandestine senate indeed, has indeed lost its superb and confirms that the center of gravity of power has moved. This massive movement, which nevertheless reflects a certain continuity in the high military-security hierarchy, nevertheless seems to be marked by a certain precipitation. Indeed, some newly promoted (specifically the head of the gendarmerie or the central director of military infrastructure) have not really had time to invest in their new missions: they were ejected and replaced without further ado after a few weeks of function. In this summer movement of musical chairs, the attention is more in the reasons for dismissals than promotions. It is understandable that new applicants are expected to show their sponsors their gratitude and respond without hesitation to their requirements. But what about the motives behind the shelving? Of course, the eyes are turning to the trigger scandal embodied by Kamel Chikhi said “the butcher” businessman multicart and importer of a cargo of frozen Brazilian meat in which was concealed 700 kilos of narcotics. The circumstances surrounding the outbreak of this case, the seizure of the drug, remain unclear. The “independent” press – made it clear to the public that the police had been removed from the operation because some of its members – including its leader? – would be involved in the traffic. The gendarmerie (and the secret services of the army) and naval units are said to have taken charge of the sequestration of the cocaine, the arrest of Kamel Chikhi and some of his accomplices. Names have circulated by unusual indiscretions of a highly controlled and generally chilly press. Through these media, the public learned that “The Butcher”, very introduced in the military cenacles, filmed without their knowledge all the evening visitors that he received in his office. According to information distilled by the “independent” press, these video recordings show a parade of officers, sons of very important generals, high magistrates and high officials. Is it then very quickly cut rotten branches likely to be involved to varying degrees in the business of “Boucher”? The international dimension of the case, pointing the wrong spotlight to cenacles that thrive only in the dark … Is it not more a question of getting rid of officers with uncertain loyalty because they are considered too close to General Hamel, in front of the police chief and star of first magnitude, today irremediably fallen, in the Algerian security firmament? Unless the victims of this reshuffle are considered to be closely associated with other oligarchs excluded from the seraglio. Probably for all these reasons and others including, probably in the first place, the desire to shorten the bridle on the army in a context of increasing tension on the eve of important choices. The main issue lies in the renewal or not of the mandate of President Bouteflika. And it is at this level that the competing interests of interest groups collide, especially those close to the presidential circle and those whose names are attached to hierarchs who have now disappeared or are excluded from the decision-making centers. . Uncertainty is the major parameter that has characterized the general situation of Algeria for too many years. This uncertainty, which weighs like a mortgage on the decisions of domestic and foreign players, is worsening over the persistence of economic sluggishness and erratic public policies. 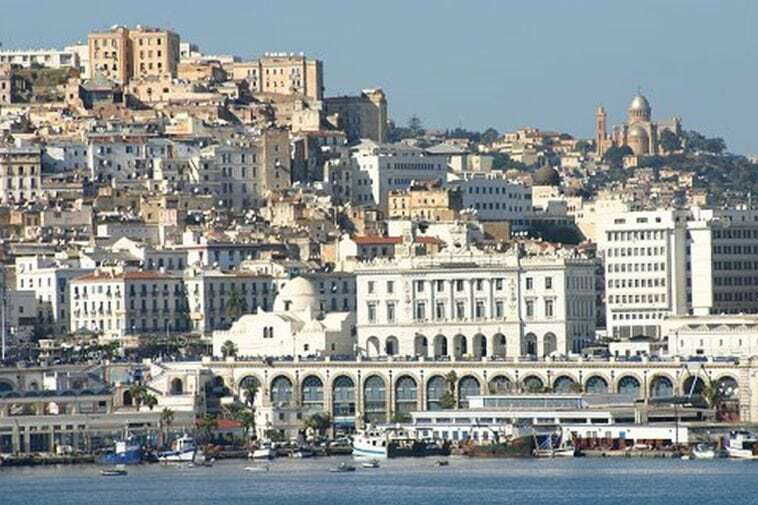 The reduction of external revenues, the gradual evaporation of foreign exchange reserves, the swelling of very inefficient public expenditure and the inertia of the authorities fuel the perplexity of the partners of Algeria who are worried about the possible effects of a socio-economic crisis. policy in the making. Faced with the surge of peril that everyone senses, there is no convincing answer from a discredited executive, without influence on the real. Governmental arrangements to deal with the inexorable deterioration of the country’s external position and the contraction of its revenues are a succession of unpredictable expedients – such as import reductions – and dangerous measures such as the use of monetary creation for no consideration. to try to compensate for the loss of tax revenues and face untoward budgetary constraints. The pursuit of this leap forward into haphazard bureaucratic replastering presented as reasonable technical alternatives borders on quackery. The unpredictability of the evolution of the situation is of course accentuated by the morbid absurdity of an unprecedented situation or a head of state, which is obviously much diminished – who has not been able to address the population since more than five years! – is re-elected without a fight by open-face fraud. Assured of total impunity, this grotesque regime does not shrink from absurdity. Thus, this great patient, regularly transported urgently and at great expense in the best hospitals on the planet, is summoned by his supporters to stand for a fifth term. In their recycling and money-laundering cases, the shadow policymakers, the military-business group around the main army chiefs and the political police, have only a very relative interest in the realities experienced by the population. It is true that they are not lodged in the same way; for the lords of the military makhzen, the people are inevitable. The psychosis of cholera, born essentially from the inability to react by the health authorities, in the first instance the Minister of Health, is a convincing indicator of the nature of the Algerian administration. Whether in terms of a blatant lack of prevention policy in a country where scorching episodes combined with shortages of water resources favour all contaminations or in terms of care of patients. The degradation is such from this last point of view that the population evokes with nostalgia the seventies or eighties where the public health was incomparably better assured. The inertia and long initial silence of officials in charge of this sector, the first official communications, made several days after the rumours of cholera epidemics, have fuelled the rise of fears, bordering on panic, within a society delivered to herself and who knows where to turn. The generalized neglect, the organized disorder and the failure of the administrations at all levels has turned the country into a huge dump. Only the sporadic initiatives of the population succeed in controlling here and there accumulations of waste and filth that accumulate anarchically. The matrix of these pathologies of stateless countries is at the heart of a mercenary bureaucracy in disjunction with society. It is therefore not the absurd comparisons with countries at war of a lost director of the Institute Pasteur in Algiers that can help calm people’s spirits and reassure them. To add the injury to the wound and to corroborate the contempt in which the people are held, a barrier Marie-Antoinette, minister of her state, even found the way to question the misuses of a population ignorant of the rules hygiene. The Algerian summer ends as it began in the deleterious status quo of repression, of a vertiginous incompetence and corruption, the keystone of the system. The only practical advance recorded during these infernal seasons is the definitive exposure of the system resulting from the putsch of January 1992. In addition to its customers, the dictatorship no longer has any audience and its professions of faith sound hollow. The discourse of eradication has long overstepped its limits: this regime in no way guarantees the so-called republican character of the state nor a barrier against obscurantist regressions. Who among the most credulous observers can still give credit to such nonsense? Those who have genuinely adhered to this speech turn out to be poor, untrustworthy politicians, who fold into guilty silence. The others who have, knowingly, cynically supported a criminal enterprise, are accountable for all his excesses. The regime of the structural coup undermines the state it claims to defend and is the best propagandist of all regressions. Behind storefronts that no longer deceive anyone, the military-police dictatorship continues to implement a strategy of demoralization by setting the pace of the political scene. Institutions are no more than an exhausted lure only destined to render inaudible all the free and autonomous voices, to make a void by prohibiting the indispensable, the urgent, emergence of new elites. The sterile and impotent regime, in a clinical coma, only holds by the violence and the support of its foreign sponsors associated in the networks of commissions and perfectly indifferent to the tragedies that the population lives. Under the eyes of a disgusted population, the waltz of the generals is executed against a backdrop of heightened competition between oligarchs. The integration of part of the regime in the international structures of organized crime, alternative to capturing rentiers, while the population is confronted with cholera, sign its real nature and said the nightmare of the Algerian people. The militarist-commercialist system of liberticidal power is exclusively organized around predation and the capture of rents, this is its only truth.